Can website speed really make a difference to your bottom line? It can, and in more ways than one. E-commerce is growing by leaps and bounds. 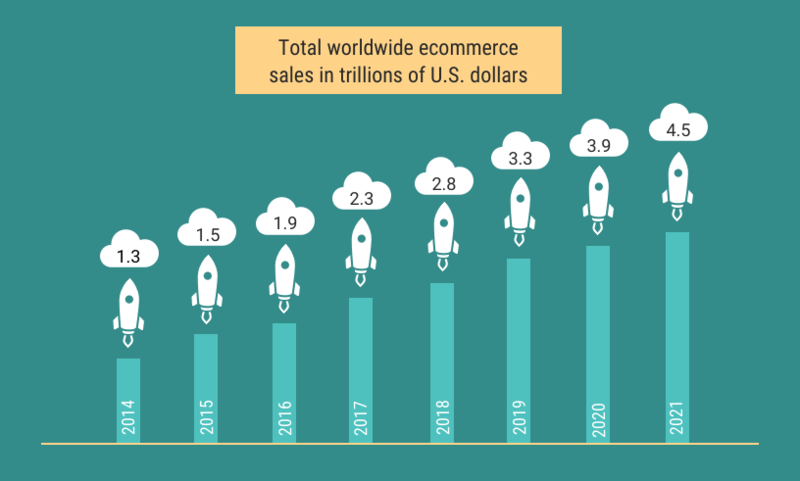 According to Shopify, global retail e-commerce sales will reach $4.5 trillion by 2021. That is a big pie, and website speed is one factor that will determine how big a slice you are served. Fast sites get more traffic love from search engines. Page loading speed is one of the top ranking factors Google uses to position your site in search results. Slower sites get a lower rank, and it doesn’t take much of a fall to hurt traffic. It gets worse. The smaller number of visitors you do get expect your site to load in two seconds or less. If it doesn’t, 40% will bounce before 3 seconds passes. Worse still, 79% of those who leave your site won’t come back, and 44% will complain about the experience to friends. Google isn’t the only one who wants your site to be fast. Facebook recently announced that they also favor fast websites in their news feed. This would also affect the number of people who see your posts on Facebook, reducing your traffic even more. One second – ONE – could be costing you big money. That one second costs you traffic, sales, and can damage your reputation. 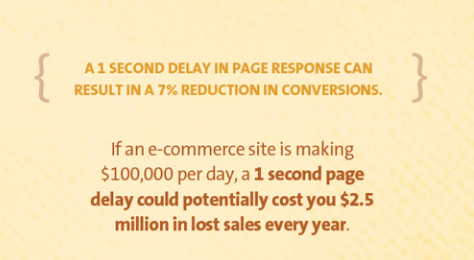 How does a slower website affect your e-commerce store? Let’s find out. What happens if you make your website speed load in under two seconds? SOASTA’s 2017 The State of Online Retail Performance analysis report held some startling revelations. Most notably, the best load times for peak conversions ranges from 1.8 to 2.7 seconds. Now brace yourself. The research also found out how much just a tenth of a second matters. Desktop pages that loaded in 2.7 seconds had a peak conversion rate of 12.8%. 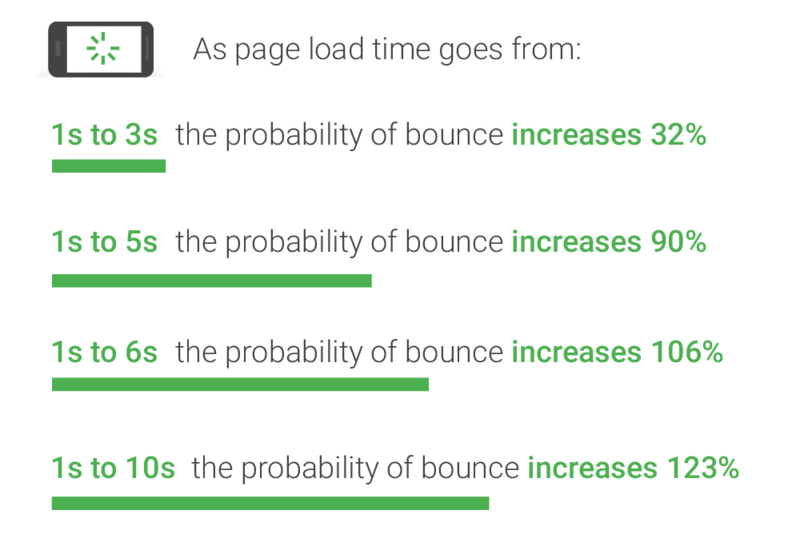 Pages that loaded one-tenth of a second slower, or 2.8 seconds, had a 2.4% decrease in conversion rate. How would this affect a real ecommerce site? 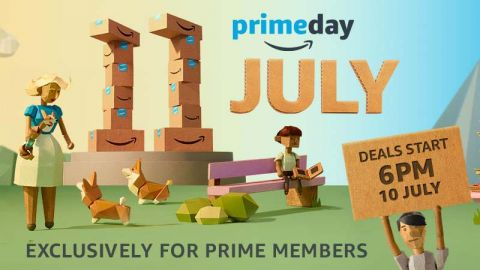 Let’s say you’re Amazon and it’s Prime Day. Your website loading speed is 2.7 seconds (it’s not, this is just for the sake of example). On Prime Day, Amazon sold 6,000 items per minute. That’s 360,000 items per hour and 8,640,000 items in 24 hours. (You’re wishing you were Amazon right now, aren’t you? Me, too.). How much would Amazon lose by loading in 2.8 seconds? That one-tenth of a second would add up to a loss of 144 sales a minute, 8,640 sales per hour, and 207,360 sales in 24 hours. YIKES! You probably think with that amount of sales, Amazon’s pages would be blazing fast, right? But I was surprised to find out that’s not exactly the case. How much money do you suppose Amazon is leaving on the table? When you run the site through Web Page Test, it’s easy to see why Amazon scores a bit low. The elements that slow Amazon page load are the things that make Amazon, Amazon… Rich images, beautiful HTML layout, and different scripts to improve the shopping experience. You might be surprised at the number of small changes you can make to improve your page speed, and your bottom line. Are you ready to test your website’s load time, improve its speed, and boost your sales? Before you can start fixing what’s wrong with your website speed, you have to know how fast it is now. 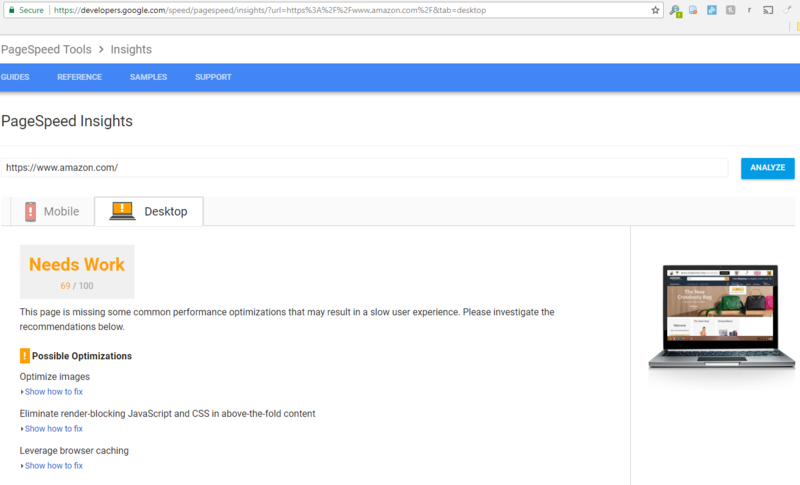 I used the Google Page Speed tool and Web Page Test to take a peek at Amazon’s performance, but there are other options. 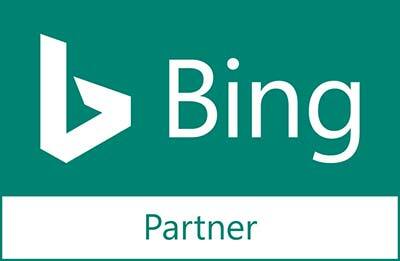 Checking your site with one tool once gives you only a part of the bigger picture. There a lot of variables you can check. For example, Web Page Test asks you to define the geographic location, device, and operating system. This allows you to see if your site works as well in Dulles, Virginia as it does in Dallas, Texas, and whether an Apple iPad loads your site as fast as a desktop using Chrome. To give you a better idea of your website’s performance, you should check the page speed when it’s the most busy. Additionally, you should run tests at different times of the day, and on different days of the week. Once you have an analysis of your website, it’s time to dig into the issues and speed things up. Where your site is hosted matters. We would strongly advise that you get in touch with a web development company such as Influce Inc. Companies like this can guide you in the right direction to finding the best web host. You can tweak every square inch of your website and still wind up with slow load times if you are on a bad web hosting server. You may want to switch to a more reliable hosting site like HostServer. How important is this? Let’s take a look at Walmart and Target’s recent sales to find out. Over the 2016 holidays, Walmart’s online sales only increased 8%. Target’s growth rate for the same quarter was 34% in digital sales. Daren Low wrote a comparison piece about Target vs Walmart website speed, and ran a check on the page speeds for each retailer. Walmart’s website was fast, just not in comparison to Target. Target’s site loaded more than half a second faster. Speed may not have been the only factor influencing the difference in sales. But given the similarity in merchandise and price structure, it seems likely that a fast website matters. And don’t worry about Walmart. Today, their website loads at lightning speed. Since then, their sales were up 63% in the first quarter of 2017! Most businesses choose a hosting provider based on cost and features, when they really should look first at speed and reliability. One way to ramp up to enterprise-level service is with a managed WordPress site hosted on the Google Cloud Platform. In addition to the blazing speed offered by Google, a managed site offers benefits you don’t get with a point-and-click. Uptime – Reliability is key. When your site is down, visitors leave and rarely return. Bandwidth allotment – Traffic issues will kill a web business. Make sure you have more than enough bandwidth allotted to respond to all your visitors. Scalability – Choose a hosting platform that scales up as you grow, and your website content spreads. Physical location – You want hosting in the same country, or a web host with many locations to choose from. 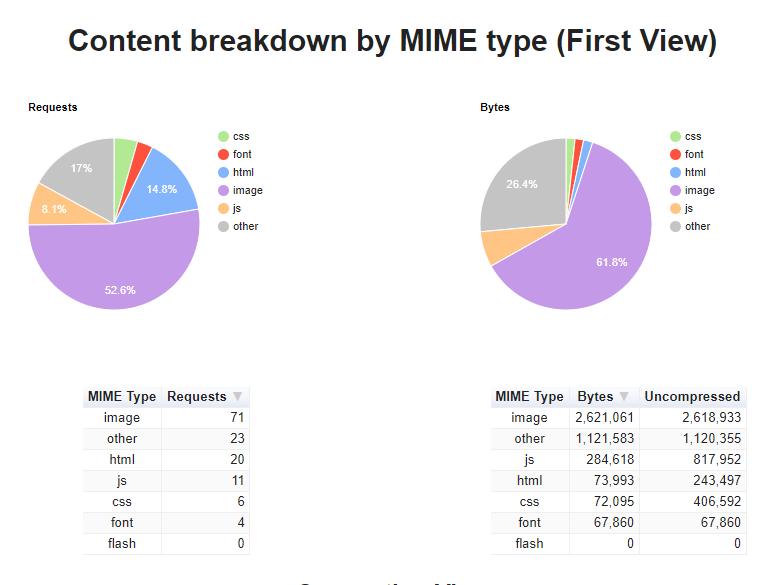 Most sites today should be using compressed data by default, but I run into a surprising number that are not. Compression is the easiest and fastest way to make a huge difference to your page load time. In addition to improving speed and user experience, you’ll reduce the bandwidth your site demands, which means you save money on hosting costs. Score! Don’t know if your site is compressed? Find out with this HTTP Compression Test. A website I recently tested was uncompressed and had a load time of 36.15 seconds! This is an easy fix. Ask your web host admin to configure your site for compression. Your customers will experience much faster speed with no difference in quality. We all love those gorgeous hi-res photos to dress up our pages, don’t we? And yet, when it comes to heavy, slow-loading pages, the biggest culprit often turns out to be giant images. Images help boost traffic to your pages. But unless each image is optimized, your load speed will make your customers feel like the glory days of dial-up. Optimizing your images is reasonably easy. You can reduce the size by compressing the image using a program like JPEGmini, TinyPNG or ImageOptim. If you can tell the difference between the compressed right half of the photo and the uncompressed left half, your eyes are better than mine! But after compressing images, you will definitely see a difference. Compressing a lot of images and replacing them on your site is going to take time, but it will be time well spent. Most compression programs will strip out metadata to further trim the “weight” of the photo. In addition to compressing your images, consider changing any PNG images to JPEG, which is a much smaller file size. But do your customers love them? Maybe not as much. Do you know what drives me crazy? It’s the news sites that jump around while you’re trying to read a story, because they are busy loading scripts with different load times. You read a paragraph, then you’re suddenly looking at a big blank spot where a video is loading. It’s even worse if you scroll down and the video follows you, then the video overlay blocks your view until you take action or find the “X” to close it. 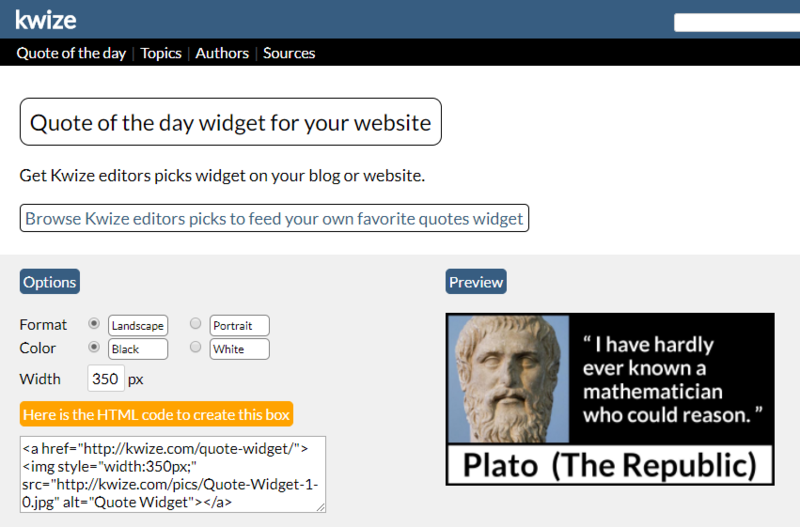 There are a huge number of scripts and plugins available to website owners today, and it is tempting to want to add them to your page. But every tool you add slows your page. 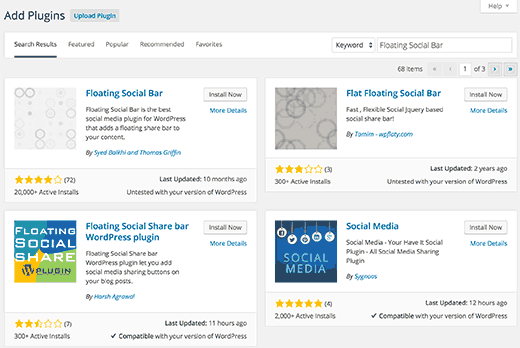 Before you start clicking on “add bells and whistles,” you should decide whether each plugin truly delivers value. 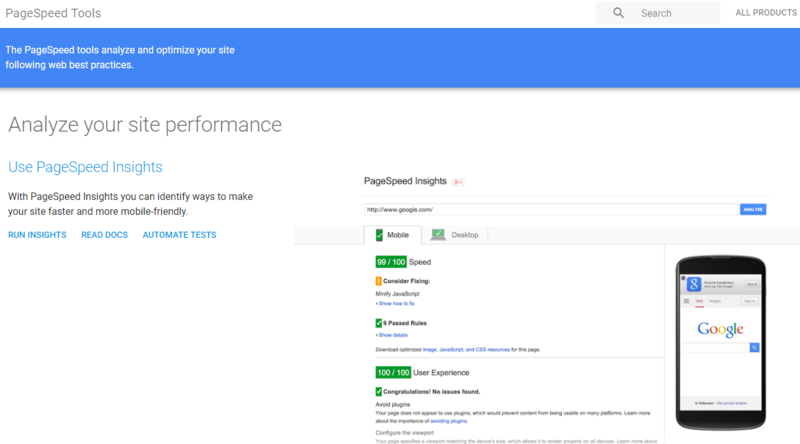 As you’re evaluating your site speed, turn your plugins off one at a time and test your speed. If the difference is negligible and the plugin adds value, keep it. If it noticeably slows your time, you will want to decide whether this widget adds enough value to balance for the lost time. You also want to make sure your plugins are kept up-to-date. Outdated plugins can cause security and site speed issues. Special consideration needs to be given to how your site performs on mobile devices. Although nearly 80% of searches begin on mobile, mobile conversions fall drastically short of desktop conversions. Google offers a clue why: The average mobile website takes 22 seconds to load… And 53% of mobile site visitors bounce if the page takes longer than three seconds to load. In November 2016, Google began testing mobile-first indexing, making mobile site speed more important than ever. How do you do speed up your site on mobile? Reduce redirects. Redirects are a common problem with mobile site speed. Instead of investing in responsive web design, many site owners chose a redirect method. Here, the server determines what type of device the customer is on and sends to a different website. Redirects result in a lot of extra back-and-forth between the customer’s device and server, and slow load time. Reduce redirects, and you speed up your website across the board. Google makes a strong case for a Progressive Web App (PWA) to use Accelerated Mobile Pages (AMP). 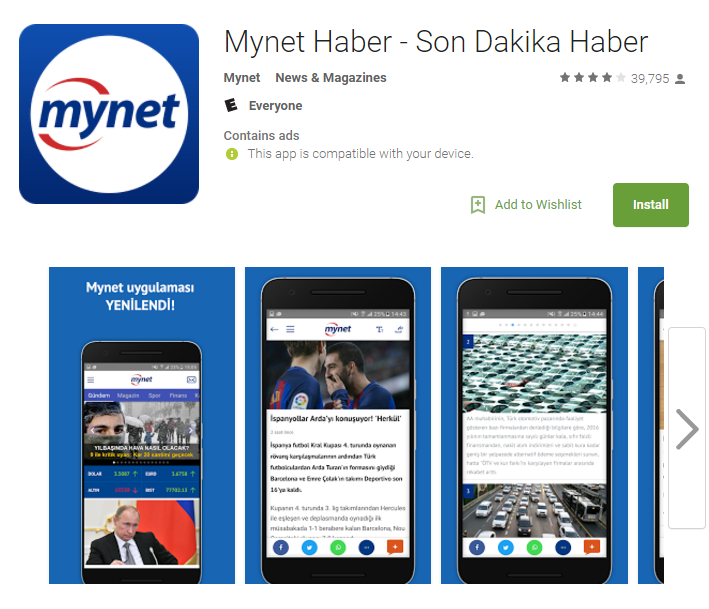 Turkish news site Mynet, for example, sped up their mobile site by 4X, which resulted in a 25% increase in revenue. 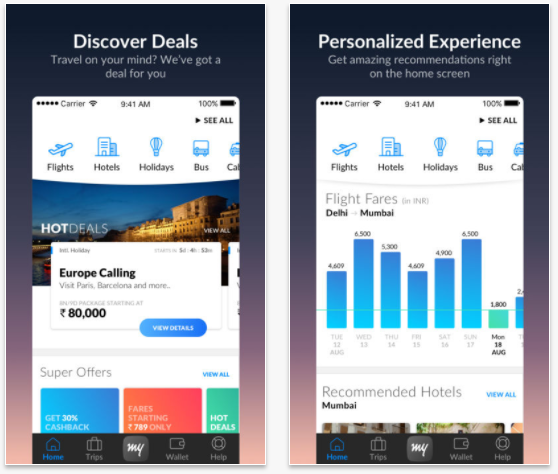 Popular India site MakeMyTrip.com used PWA with AMP and increased their mobile site speed by 38%, and their conversions tripled. With eight million visitors a year, that must be quite a revenue boost! Wanna make more money? 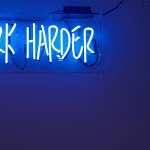 If you do, then you should do what it takes to make your website faster. Many of these tips are stupidly simple and can be done by anyone (or at least simple enough to ask your developer to lend a hand). You can ask your host provider to turn on site compression and keep-alives today. 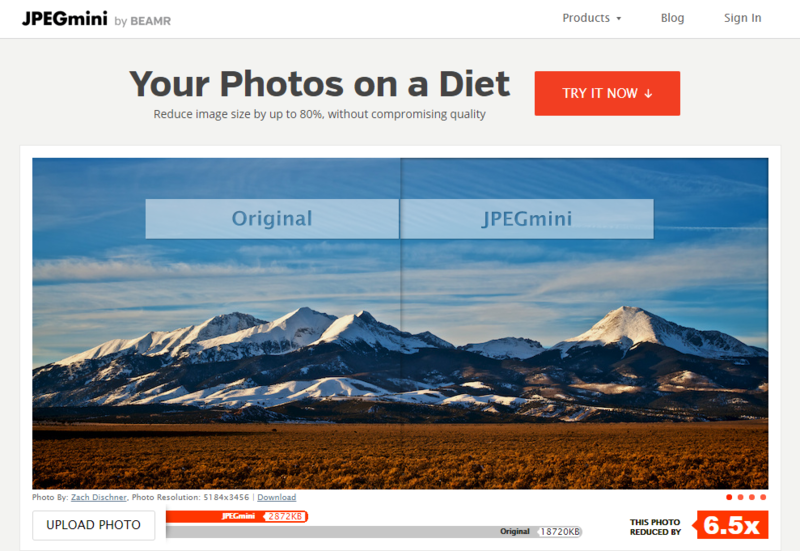 You can start reducing your image size right now. Even if you have thousands of images to compress, just get started. Do a few at a time, for as long as it takes. Changing web hosts is a bit challenging, but if your web host is slow now, it’s only going to get slower as you grow. You’re going to have to do it sooner or later, why not now to start improving your sales right away? And if you’re using an old redirect method, it’s certainly time to consider all the possibilities and opportunities for mobile. As your competitors ramp up their mobile presence, and mobile becomes increasingly more important to consumers, you don’t want to be left in the dust. It’s a great time to get a jump on mobile, while mobile conversion rates still stink. Take a close look at these tips, test your site, and get busy! Your sales depend on it. Do you have any tips for speeding up website load times? David Zheng helps Fortune 500 companies and ecommerce businesses create and implement 10X online revenue growth strategies at WiseMerchant.com.